“After winning this competition, my father, Randeep Singh, told me that how I should move ahead with wildlife photography to get recognised at the world level. He told me to see the unusual, worthy and interesting,” says 10-year-old Arshdeep Singh. 10-year-old Arshdeep Singh from Jalandhar has made his way to share the dais with the winners of wildlife photographer of the year award for this year. Arshdeep, a class V student, won the award for his photograph titled, ‘Pipe Owls’, in a contest organised by Britain’s Natural History Museum. 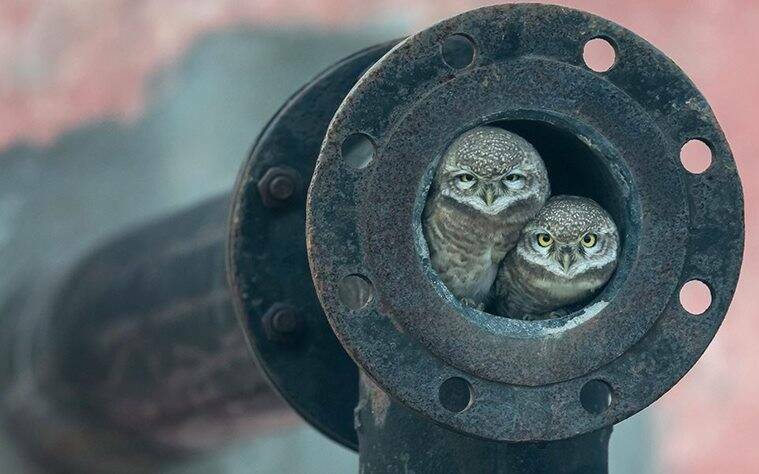 The award-winning photograph, which features a couple of owlets nesting inside a pipe, was captured by Arshdeep while he was on the way to a wetland in Punjab’s Kapurthala District, clicking photos of the surrounding wildlife as he accompanied his father. Did you expect to win at world Level? No, although I had won at Asia level earlier, I didn’t expect it because at international level competition becomes very tough. How do you see your achievement at such a tender age? It is a big thing for me as my photo will be shown in 65 countries but still, it has put a lot of pressure and responsibility on me because now the expectation is very high from me. After winning this competition, my father, Randeep Singh, told me that how I should move ahead with wildlife photography to get recognised at the world level. He told me to see the unusual, worthy and interesting. Apart from photography, watching Nat Geo and Animal Planet, playing lawn tennis and badminton and studying science are my areas of interest. I was five-years-old when I developed a lot of interest in holding a camera, following which my father got me a small camera. I started clicking the photos of our pets and birds around the house and then it became a passion for me. Where you go for wildlife photography? I go to Harike Pattan (wetland) and Kanjli in Kapurthala, Himachal Pradesh and once my father took me to Kenya. I prefer to do it on weekends and during my vacations. D-500 SLR Nikon. I am comfortable with it. Goes without saying that I would become a full-time professional wildlife photographer in my life, says Arshdeep.